“The first time I saw Remy Charlip, he was 71, wearing a yellow raincoat and hat, and riding aloft upon the hands of a dozen beaming, stark-naked men. The work was “A Moveable Feast,” Charlip’s commission for the 2001 Lesbian and Gay Dance Festival, and what truly made the dance memorable was not the contrast of muscled bodies with Charlip’s lightly liver-spotted skin, not the perfect comic timing as Wagner’s “Tristan und Isolde” swelled. The unforgettable element was the youthful joy radiating from Charlip’s face. The crowds loved it. San Francisco choreographers have loved Charlip since he moved here in 1989. A founding member of the Merce Cunningham Dance Company and the author and illustrator of 33 children’s books, Charlip quickly became a mentor, advising the risk-taking collective Contraband, collaborating with Margaret Jenkins, lending choreographic ideas to everyone from Axis Dance to Oakland Ballet. Naturally, then, choreographers were the first by Charlip’s side when he suffered a potentially debilitating stroke last Halloween. 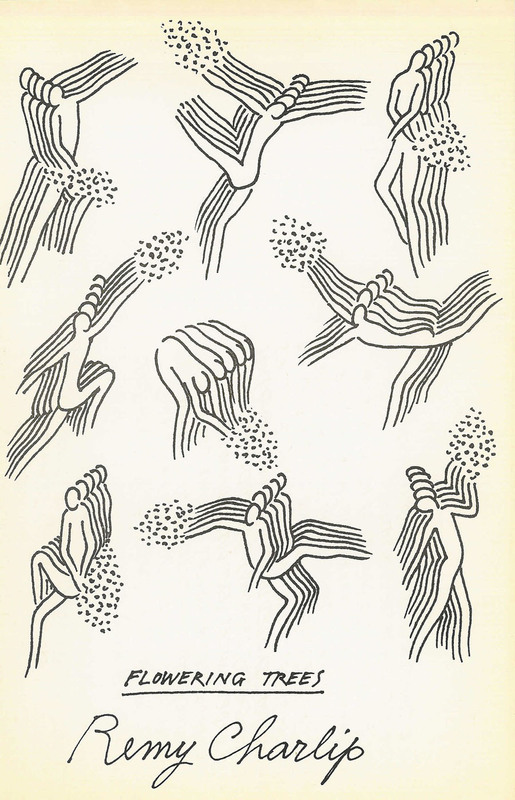 One of Remy Charlip’s “Air Mail Dances.” The drawings show the dance’s key moments. The performers are then free to choreograph the spaces in between. The story includes a great photo of Remy in all his irrepressible whimsicality; for the whole thing, click here.